Tightens the dark circles and pockets. 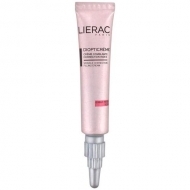 DESCRIPTION: Dioptifatigue Gel from Lierac is a gel corrector that fights the signs of eye contour fatigue. Smoothes, energizes and brightens the skin. Tightens the dark circles and pockets. 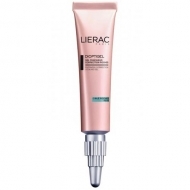 Provides an instant soothing effect with proven anti-fatigue efficacy. 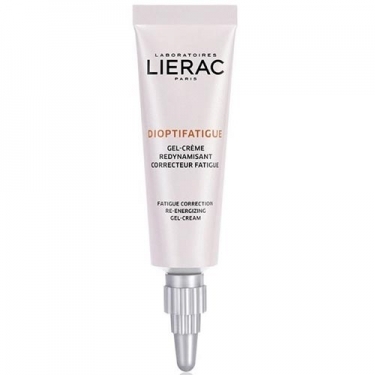 Innovative formula, with an unprecedented complex (vitamin C + double hyaluronic acid + extracts of rushes) and chamomile extract for an anti-fatigue, revitalizing, soothing and illuminating action. The skin becomes smoother, smoother and the look brighter. Apply morning and evening to the skin of the eye area, perfectly clean and dry, with a gentle massage from the inside of the eye to the outside.